Researchers conclude there is no proof that low-level radiation from medical imaging – such as X-ray and computed tomography scans – causes cancer. They say it is time to throw out an unproven, decades-old theoretical model that has led many people – doctors and regulators included – to believe otherwise. Writing in the American Journal of Clinical Oncology, the researchers describe how the linear no-threshold model (LNT) – first proposed over 70 years ago – is used to estimate cancer risks from low-dose radiation, such as medical imaging. They say persistent use of the LNT model by regulators and advisory bodies leads to unfounded fears and money being wasted on unnecessary safety measures. 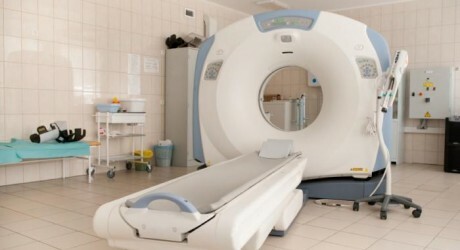 As a result, many doctors are averse to recommending and using the most appropriate imaging procedures for their patients, and many patients are unnecessarily scared to undergo them. The LNT model maintains there is no safe dose of radiation – no matter how low the dose. It says you can work out the cancer risk of very low-dose radiation exposure by simply continuing in a straight line from the well-established, undisputed effects of high-dose radiation. They go on to explain how no associated health effects as a result of being exposed to this background radiation have been documented anywhere in the world. In fact, people in countries like the US are living longer than ever – likely because of improvements in medical care that involve exposure to radiation from diagnostic equipment – e.g. X-rays or computed tomography (CT) scans – at doses well below those of the background radiation. In their paper, the authors describe how they revisited the studies – from over 70 years ago – that led to widespread use of the LNT model. The studies – published in the 1940s – exposed fruit flies to various doses of radiation, but not very low doses. Nevertheless, they concluded that to estimate the risk of those effects occurring at low doses, you simply continued in a straight line down the plot result from the higher-dose experiments. When scientists carried out the same experiments on fruit flies in 2009 – using low doses of radiation – they did not find the results to be as predicted by the original studies. Also, note the authors, studies of human populations exposed to radiation – including nuclear bomb survivors – have never conclusively shown that low-dose radiation increases cancer risk. They urge people to vigorously challenge any claim that low-dose radiation from medical imaging is known to cause cancer.